Short abstract: Everyday life is a constant negotiation between experiences and memories of the past, the challenges of the present and longings and anxieties about the future. My talk is focused on ”the throwntogetherness” of such temporal frames. How are they synchronized or kept apart? Sometimes societies, subcultures or individuals are accused of being chained to a nostalgic past or obsessed with the future, but most people learn to handle what Doreen Massey has called ”the throwntogetherness” of different temporal frames. How are past experiences and memories dealt with in the present, for example in the form of the cultural baggage of pre-understandings we drag into everyday situations? In a similar way plans for and dreams or worries of the future are constantly shaping activities of ”here and now”. I will be exploring some situations in which such processes of synchronization or confrontation take place. It can be very mundane tasks like packing a suitcase, cleaning the kitchen or daydreaming on the bus. There are also cultural skills for handling clashes between past, present and future. People may feel that everyday life has been colonized by all the yesterdays – accumulated stuff, memories and feelings, and this calls for developing coping techniques like learning to overlook, forget or ignore. Short abstract: The empirical case study of various groups of Croatian returnees from diaspora will serve as a vehicule for posing general questions relevant to diaspora and return theory, such as diaspora and ‘the teleology of return’, ‘ontological return’, ‘homeland’, etc. as well as probing some conceptual and terminological issues (returnees, expatriates, migrants, etc.). The paper compares practices of Croatian return migrants, both of the migrants who return and of their descendants who were born in the countries of settlement and decide to settle in the country of their forebears. I will evaluate their images of Croatia prior to return and settlement against their narratives about ‘real’ life and their practices in Croatia. Both groups engage in frequent transnational activities, linking them to the people who live in the former countries of settlement. However, there are differences in their ways of community-building locally. Returnee migrants tend to create ‘returnee bubbles’ and might flirt with an idea of spatially fencing themselves off from the surrounding society. The ‘returnee bubbles’ will be compared to ‘ethnic bubbles’ which they created while living abroad. Both practices will be contrasted to those of their children and grandchildren, the transnational generations, who settled in Croatia. Via internet fora, they tend to join ‘expatriate bubbles’, locally and nationally, whereby they socialize with the people of the same ‘international outlook’ as themselves, no matter whether these people have Croatian ‘roots’ or not, or whether they come from the same or another country. This empirical case study will serve as a vehicle for posing general questions relevant to diaspora and return migration theory: ‘the teleology of return’, ‘ontological return’, ‘homeland’, etc. as well as probing some conceptual and terminological issues (returnees, expatriates, migrants, etc.). Jasna Čapo is a senior research associate at the Institute of Ethnology and Folklore Research and professor at the University in Zagreb. She was a Humboldt Fellow in Munich and Berlin. Her research interests are in the anthropology of forced and labour migrations. 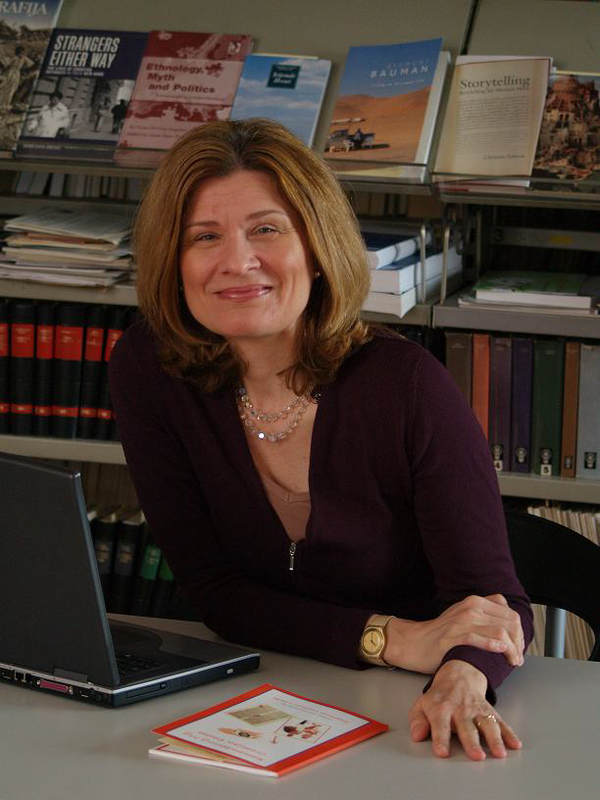 Her books include Strangers Either Way: The lives of Croatian Refugees in Their New Home (2007 and 2011) and a co-edited volume Co-ethnic Migrations Compared: Central and Eastern European Contexts (2010). Short abstract: Secular and religious imaginaries, pasts that create futures and futures that inhabit pasts: in the wake of terrorism and war, and the subsequent recourse to discourses of secular heritage and sacred tradition, what can ethnography offer? Examining Sufi Islam in Europe, I advocate for slow activism through methods of listening in and to the longue durée. What are ethnographies of listening and what promise do they hold for utopic and political activism? Since beginning my research on Sufism in France in 2008, I have witnessed rising anxiety levels between secular-identified and Muslim-identified French citizens. Unlike many orthodox Muslims, however, Sufis worship with music and have a practice of deep listening (sama‘). The Charlie Hebdo attacks, while acts of murder and fanaticism, nonetheless stirred up debates about the secular/sacred divide once again: virulent anti-clericalism met discourses of democracy, free-speech vs free-practice, 1789-99 versus 1968 versus 2015. I begin with this context firstly because it is impossible not to reference these events when researching any form of Islam in contemporary Europe, and secondly, because performing what might be called the ‘Sufi sublime’ is not an apolitical realm of mystical experience as many Sufis would like to believe. Rather I suggest that the sublime does the work that many other aesthetic expressions after modernity do: it displaces the human from the center of experience, putting ways of being before ways of knowing and enacting unexpected intimacies that confound rational understanding, insisting rather upon an aesthetic pedagogy that we might refer to as ‘being-with- paradox.’ What part does listening play in sublimity? How do we witness the sublime and to what end? How might listening to sublimity – being an aural witness to a form of temporal utopia– provide political lessons for ethnography? In this presentation, I advocate for slow activism through methods of listening in and to the longue durée. 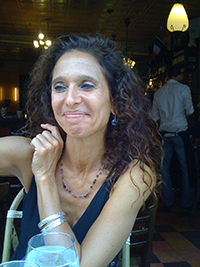 Deborah Kapchan is Associate Professor of Performance Studies at New York University. A Guggenheim fellow, she is the author of Gender on the Market: Moroccan Women and the Revoicing of Tradition (Univ. of Pennsylvania Press 1996), Traveling Spirit Masters: Moroccan Music and Trance in the Global Marketplace (Wesleyan University Press 2007), as well as numerous articles on sound, narrative and poetics. She is translating and editing a volume entitled Poetic Justice: An Anthology of Moroccan Contemporary Poetry, and is the editor of two recent volumes: Intangible Heritage in Transit (2014 University of Pennsylvania Press) and Theorizing Sound Writing (in press, Wesleyan University Press). Short abstract: Do any new challenges for ethnography even exist in the 21st century? Has ethnography not always had to overcome contradictions between a utopian character of culture and the everyday? Beginning with a brief glance at the changes in European ethnology’s conceptions of culture, this paper discusses themes and ways of studying apparently elementary practices and experiences within complex relations. Why has recent discourse in European ethnology been so centered on the concept of heritage? Why is there no SIEF congress without the overwhelming presence of heritage, or at very least without its appearance in a subheading or program? What do the terms presented in the title of this congress’ program signify? Are utopias and realities essentially dichotomous? Alternatively, do heritages exist beyond the real and utopian character of culture? Beginning with a brief examination of the development of concepts of culture in European ethnology, this presentation will discuss the unique challenges of a late modern ethnology that is embedded in complex constellations and which is essentially centered upon the actor. It will attempt to show that an ethnography, which focuses on corporeal and sensory practices and is subject to the conditions of globalization and technical-mediated environments enables accesses beyond the essentialization of the elementary. For this purpose, research will be presented that investigates specific affiliations wherein the relationship between humans and their environment, their mindscapes, and a ‘situated otherness’ are available for examination. Encounters with nature through sport, spatially connoted heritage commodities, and finally, the administration of wilderness as culture serve as primary examples. In conclusion and based on parallels between ethnographic encounters and everyday experience and perception, the presentation will try to provide an outlook on the specific potentials and difficulties of our work. 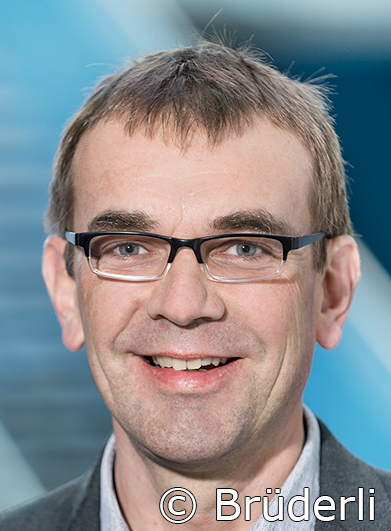 Bernhard Tschofen is a Professor of Popular Culture at the University of Zurich. After studying Empirical Cultural Studies/Folklore and Art History in Innsbruck and Tübingen, he worked in the curatorial field and then in the Institute for European Ethnology at the University of Vienna. 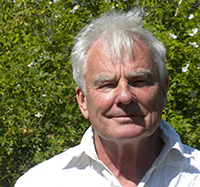 From 2004 to 2013, he served as a Professor for Empirical Cultural Studies at the University of Tübingen. His research and teaching specializations include the interface between the everyday and knowledge culture (in tourism, cultural heritage, and museums), as well as spatio-cultural questions in both the past and the present. The closing round table reviews, in conversation, perspectives and insights generated by the conference theme. What kind of research and results has the conference theme stimulated? how has it impacted our grasp of ongoing work? The participants will bring to the table what struck them most during the Zagreb meeting, both topically and in terms of the utopias and realities of ethnology and folklore studies. Regina F. Bendix is a professor of cultural anthropology/European ethnology at the University of Göttingen, Germany. Her recent research has focused on cultural property and heritage and more broadly on the intersection of value and culture, as well as on the production and reception of popular television series. She has been the co-editor of Ethnologia Europaea since 2007 and also co-edits the new journal Narrative Culture.